JD Guerrilla is a Joomla! template exclusively designed for business, startups and small agencies. It is a responsive Joomla 3.8.x template powered by the Helix3 framework. It has K2 component responsible for blogging. JD Guerilla also supports Easy Blog to make blogging more efficient and to give you better control on your content. 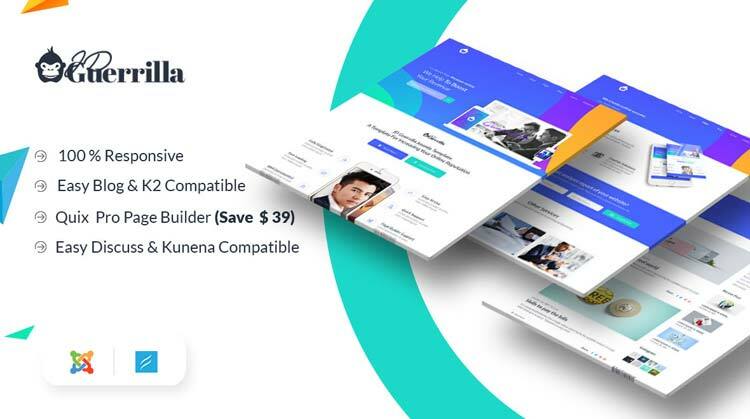 It has both, Easy Discuss and Kunena Forum to support the forum discussion between different users of your website. Designed especially for Marketing Agency website. Compatible with Kunena, K2, EasyBlog, EasyDiscuss and other third-party extensions.